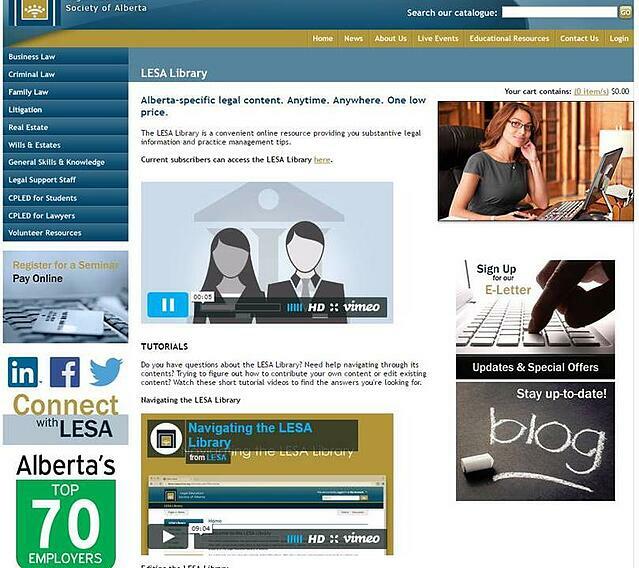 For best Marketing, Legal Education Society of Alberta, Edmonton, AB, Canada, Andrea Malais, accepting, has won a LERN International Award for 2017 for its video marketing. The award is for marketing their new digital library, converting publications into digital access. First, all associations will need to reposition our organizations programmatically to be online services, not just in-person providers of lifelong learning. For most of us that means converting our courses from just in-person to a combination of in-person and online experiences. So this new product or program does that. But second, what makes this award relevant to all of us is how they marketed the new product. They came at it from all sides, with a blog, a special discount to get people to try it, email, print promotion. And then they did two videos specifically to tell people what the new product was about. There are two things people want to know about a new product or program. The first is why they should use it. So the association did a 3 minute video on why they should use it. The second thing people want to know is how to use the new product or program. So they did a second video on how. Your program will be creating and marketing a totally new program format sometime. This award shows you how to do it successfully.